We describe how self-production systems theory can be applied in the design of new creative interfaces. By modeling the interface as an organizationally closed system, we can support creative agency while still allowing collaboration with the user. Although in this approach the interactor no longer solely determines the output, both the user and interface can become structurally coupled, achieving a balanced interaction. We discuss our theoretical motivations and describe an initial attempt in the domain of human-machine collaborative painting. W. S. Lages, P. Gobira, F. C. C. Marinho (2017). 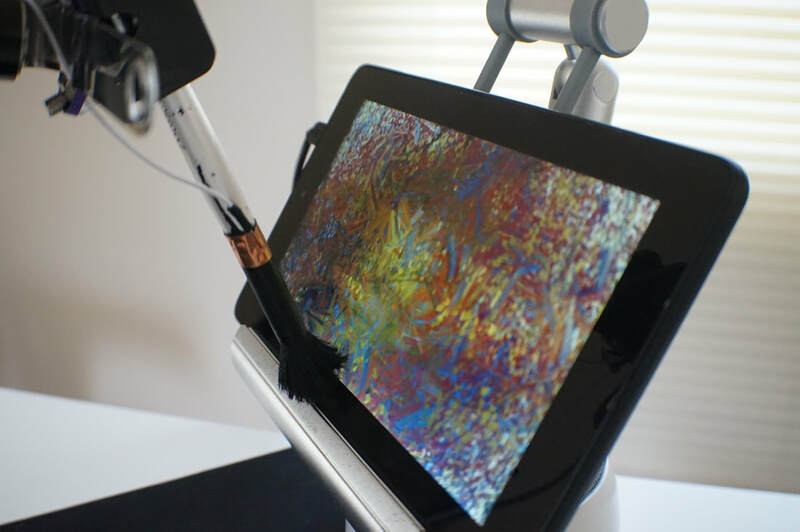 Structural Coupling on Creative Interfaces. C&C 2017 Proceedings of the 2017 ACM SIGCHI Conference on Creativity and Cognition, Singapore, Singapore - June 27 - 30, 2017. ACM Press: New York, NY. pp. 252-256. Acceptance Rate 33%. We present two novel redirection techniques to enable real walking in large virtual environments (VEs) using only room-scale tracked spaces. The techniques, called Bookshelf and Bird, provide narrative-consistent redirection to keep the user inside the physical space, and require the user to walk to explore the VE. The underlying concept, called cell-based redirection, is to divide the virtual world into discrete cells that have the same size as the physical tracking space. The techniques then can redirect the users without altering the relationship between the user, the physical space, and the virtual cell. In this way, users can always access the entire cell using real walking. R. Yu, W. S. Lages, M. Nabiyouni, B.﻿ Ray, N. Kondur, V. Chandrashekar, D. A. Bowman (2017). Bookshelf and Bird: Enabling Real Walking in Large VR Spaces. 3DUI 2017 Proceedings of the 2017 IEEE Symposium on 3D User Interfaces. Los Angeles, CA, USA - March 18-19, 2017. pp. 116-119. Acceptance Rate 33%. 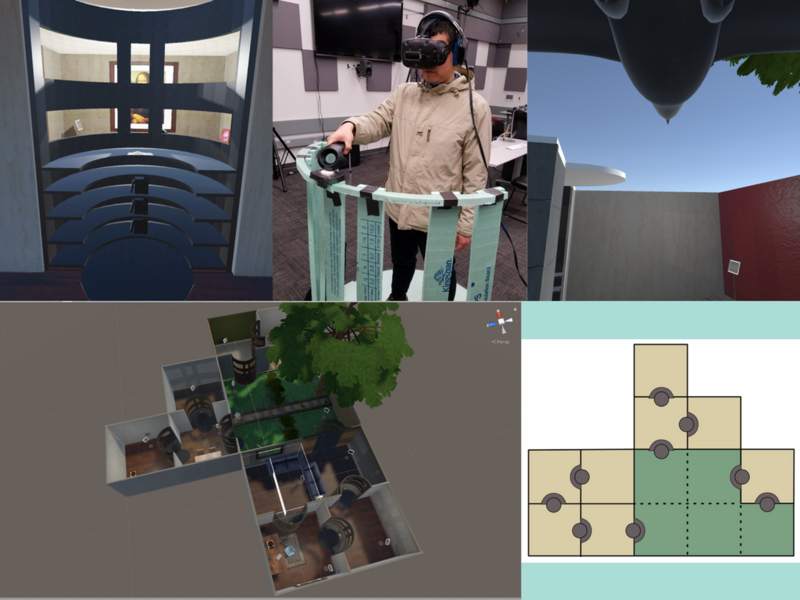 In this work we report our ongoing investigation on how natural interaction can improve player experience in collaborative virtual reality games. In particular we discuss bare-hand interaction and natural locomotion as means to reduce learning curve, improve immersion and allow non-verbal communication. Our findings concur with known benefits of natural locomotion, highlight the importance of good gesture design and bring new issues around facial expression and safety in co-located multiplayer games. W. S. Lages, M. Nabiyouni, L. Arantes, (2016). 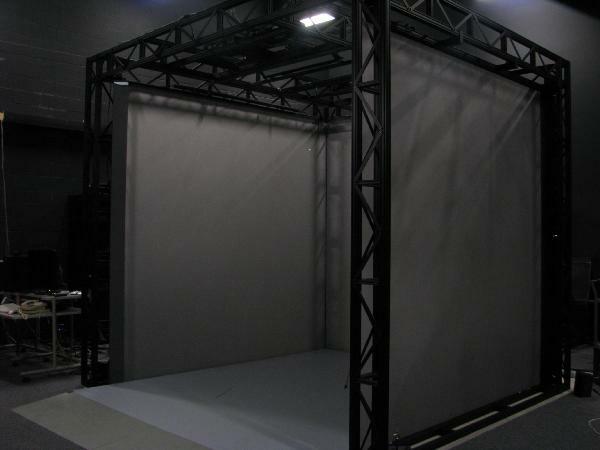 Krinkle Cube: A Collaborative VR Game Using Natural Interaction. ChiPlay 2016 Proceedings of the 2016 Annual Symposium on Computer-Human Interaction in Play Companion Extended Abstracts. Austin, Texas, USA - October 16-19, 2016. ACM Press: New York, NY. pp. 189-196. 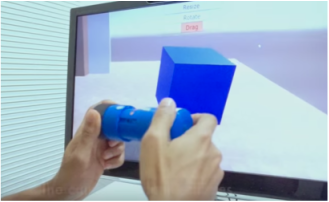 We report the findings of a study designed to evaluate the effect of stereopsis and field of regard (FOR) in two different mixed reality (MR) simulation platforms: a head-mounted display (HMD) and a CAVE. We compared the performance of participants on two levels of stereopsis (mono and stereo) and two levels of FOR (90 degrees and 270 degrees) using a variety of scientific visualization tasks. Among the findings, we observed that not all the effects were consistent between the platforms. Stereo alone or in combination with higher FOR improved completion time on both platforms. However, adding stereo solely reduced the accuracy of the participants on the CAVE and improved on the HMD. Our findings extend prior knowledge on the contribution of visual fidelity components and suggests potential limits on MR simulation between platforms. ​W. S. Lages, B. Laha, W. Miller, J. Novotny, D. H. Laidlaw, J. J. Socha, D. A. Bowman (2016).​ Effects of Field of Regard and Stereoscopy and the Validity of MR Simulation for Visual Analysis of Scientific Data. IEEE VR 2016 Proceedings of the 2016 IEEE Virtual Reality, March 19-23, 2016. Greenville, SC, USA. 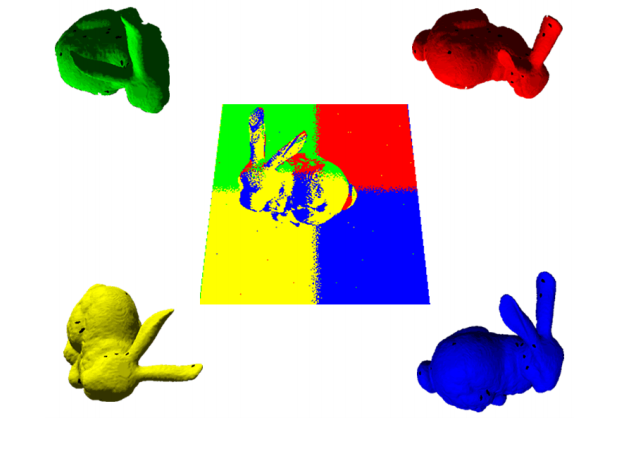 We present a technique to support collaborative 3D manipulation. Our approach is based on two or more users jointly specifying the parameters of each transformation using a point, a ray, and a scalar value. We discuss how this concept can be coupled with a camera system to create a scalable technique that can accommodate both parallel and serial collaboration. W. S. Lages (2016) Ray, camera, action! 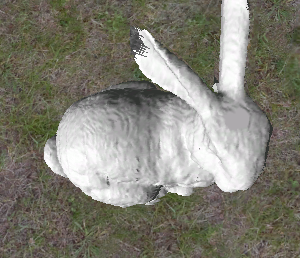 A technique for collaborative 3D manipulation. IEEE VR 2016 Proceedings of the 2016 IEEE Virtual Reality, March 19-20, 2016. Greenville, SC, USA. 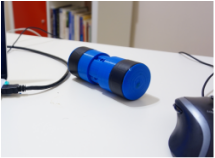 ​In this paper we present the design process of Capsule, an inertial input device to support 3D manipulation of biological datasets. Our motivation is to improve the scientist's workflow during the analysis of 3D biological data such as proteins, CT scans or neuron fibers. We discuss the design process and possibilities for this device. W. S. Lages, Arango, G. A., Laidlaw, D. H., Socha, J. J., and Bowman, D. A. (2016) Designing capsule, an input device to support the manipulation of biological datasets. IEEE VR 2016 Proceedings of the 2016 IEEE Virtual Reality, March 19-23, 2016. Greenville, SC, USA. 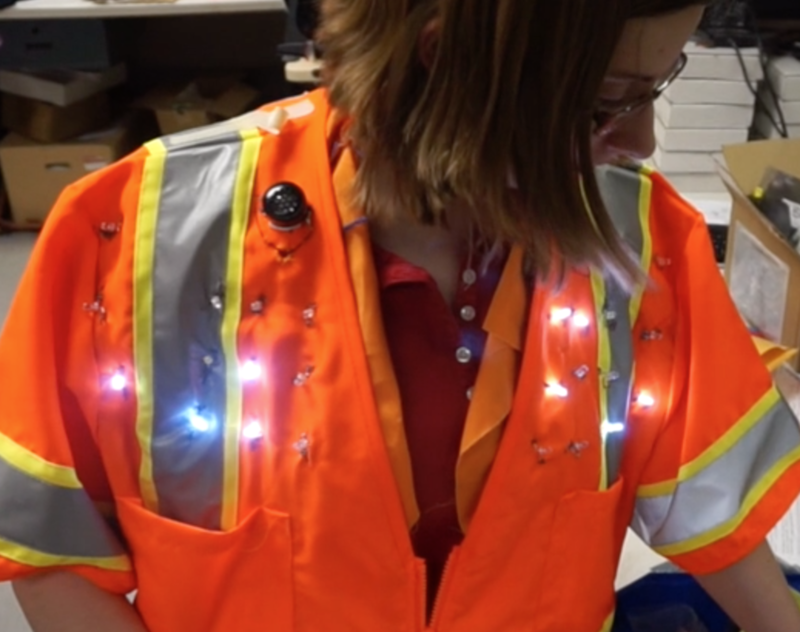 ​This paper describes the design and evaluation of an alerting vest for construction workers. Four different alerts and modalities were compared through an empirical study. We measured the response time to different alerts while the users performed three distinct tasks. We found that the modality of each alert has a significant effect on time and also observed a significant interaction between the alert type and the task being executed. K. Hines, W. Lages, N. Somasundaram and T. Martin (2015). Protecting Workers with Smart e-Vests, Ubicomp 2015 Proceedings of the 2015 ACM International Joint Conference on Pervasive and Ubiquitous Computing and Proceedings of the 2015 ACM International Symposium on Wearable Computers, Osaka, Japan - September 7-11, 2015, p. 101-104. 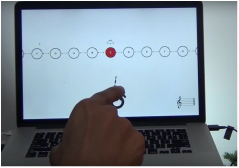 We present a novel virtual musical instrument interface based on in-air 3D gestures called the Interval Player. Instead of specifying absolute notes, the user specifies the melodic interval between the most recent note and the next one. The non-dominant hand is used to specify chords for harmony. We discuss the principles and rationale used in the design. In this work, we will discuss the difficulties found in the dialogue between scientists from the biological area and arts, who were engaged in the construction of games, videos and installations. The challenge for the biological sciences group was to transpose the scientific contents and concepts for the interactive environments into animated videos, games and interactions produced by faculty of visual arts and technology. The data collected through interviews with the involved artists and scientists is presented in a juxtaposition to understand their different views on communicating science, in an attempt to contribute for future mediation in dialogues of this type. Multiple view rendering is a common problem for applications where multiple users visualize a common dataset, as in multi-player games and collaborative engineering tools. For a system to be able to render a large number of views at interactive rates efficiently, parallel﻿ processing is an attractive technique. In this work, we present the implementation of a pipelined multiview light field renderer using a cluster with GPUs and MPI. We discuss the parallelization model and the problem of partitioning the tasks of the pipeline among the cluster machines based on the pipeline model and the costs of the stages. Our solution achieves 83% efficiency with ten machines, against only 11% efficiency of a naive parallelization. W. S. Lages, C. Cordeiro, D. Guedes (2009). Performance Analysis of a Parallel Multi-view Rendering Architecture Using Light Fields. The Visual Computer, v. 25, October 2009, Springer-Verlag, p. 947-958, 2009. A. Silva, W. S. Lages, L. Chaimowicz (2009). Boids that see: Using self-occlusion for simulating large groups on GPUs. ACM Computers in Entertainment, v. 7, December 2009. ACM Press: New York, NY. p. 51, 2009. Behavioral models are used in games and computer graphics for realistic simulation of massive crowds. 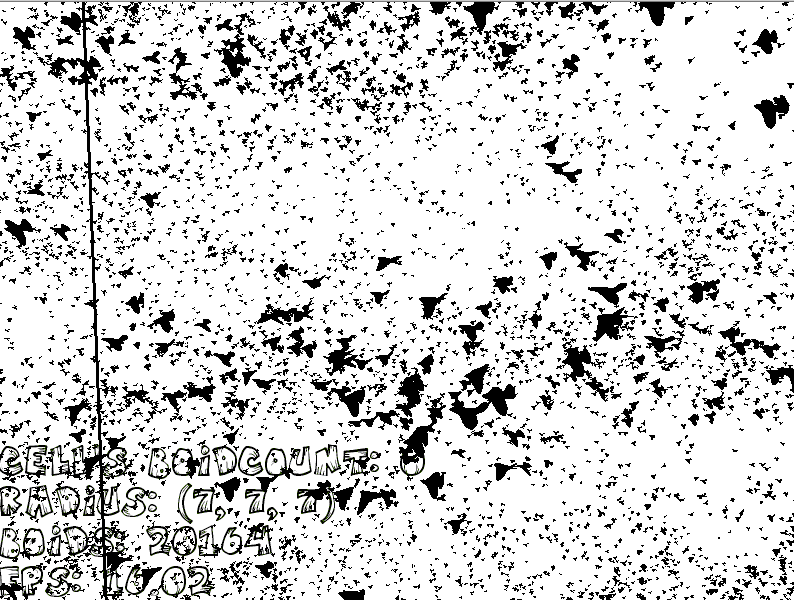 In this paper, we present a GPU based implementation of Reynolds  algorithm for simulating flocks of birds and propose an extension to consider environment self occlusion. We performed several experiments and the results showed that the proposed approach runs up to three times faster than the original algorithm when simulating high density crowds, without compromising significantly the original crowd behavior. A. Silva, W. S. Lages, L. Chaimowicz (2008), Improving Boids Algorithm in GPU using Estimated Self Occlusion. SBGAMES 2008 Proceedings of the VII Brazilian Symposium on Games and Digital Entertainment - Computing Track - Full Papers, 2008. p. 41-46. W. S. Lages, C. Cordeiro, D. Guedes (2008), A Parallel Multi-View Rendering Architecture. SIBIGRAPI 2008 Proceedings Proceedings of the XXI Brazilian Symposium on Computer Graphics and Image Processing - Campo Grande, Brazil - October 12-15, 2008. SBC: Rio de Janeiro p. 1-8. Acceptance Rate 35%. This article presents the graphics design of the game Peixis. We discuss aspects related to style, character design, scenery and user interface (Portuguese). L. Arantes, A. Dubiela, P. Magalhães, W. S. Lages (2007) O Projeto Visual do Jogo Peixis SBGAMES 2007 Proceedings of the VII Brazilian Symposium on Games and Digital Entertainment- November 7-9, 2007 São Leopoldo, RS, Brazil.